Got A Date On A Dry Day? Check Out The Mocktails At Delhi Club House! Delhi has had a slew of dry days recently! We checked out the Delhi Club House at Sangam Courtyard on one such day. The staff was courteous and had good recommendations for drinks. We ordered a Virgin Mary, pink lemonade and homemade ginger ale. 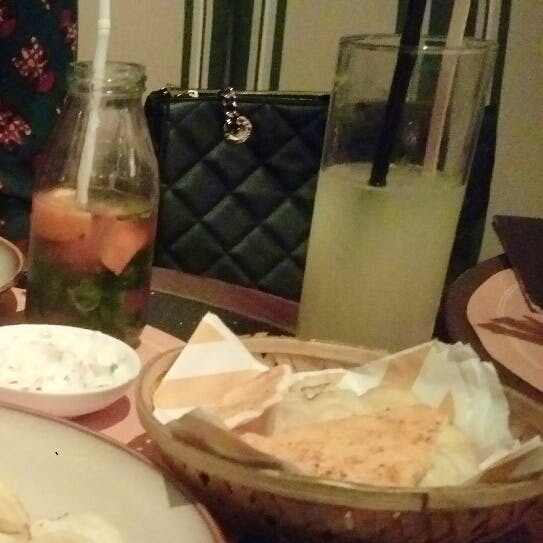 We also ordered some yummy chilli fish, chicken momos and chips with dips to go with our drinks! And voila, did we enjoy?? We didn't miss alcohol and in fact ordered a second round of our drinks with dinner. Dinner was simple with just biryani followed by apple strudel for dessert! The staff is very prompt and sharp to quickly identify your likes and dislikes! We thought the homemade ginger ale was particularly good. We had it sans lemon but you could have it with lemon too!